Taku Unami: guitar/laptop/composition was born in Tokyo, Japan, in 1976. He is a composer and improviser working with assorted stringed instruments, including the guitar, bandolin, and contraguitar, laptop and vibrating objects (from which he amplifies the inaudible vibrations). Despite being linked to minimal improvisation his music is hardly classifiable, being able to surprise listeners on every new release, raising unforeseen questions and trailing new paths for improvisation. 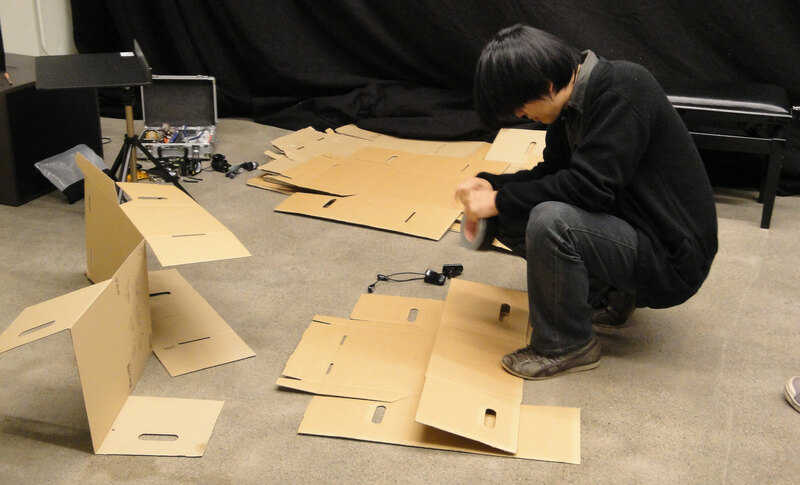 He is part of the group HOSE and has active collaborations with Mattin, Taku Sugimoto and Masahiko Okura. In the past he has worked with Radu Malfatti, Jean-Luc Guionnet, Klaus Filip, Masafumi Ezaki, Burkhard Stangl, Rhodri Davies e Nikos Veliotis, among others. Unami has also composed for film, including destacam Lost My Way (directed by Takeshi Furusawa) and In 10000 years (directed by Isao Okishima). He has released more than 30 records, solo and in other groups and collaborations. He runs the influential label Hibari Music and co-organizes the Tokyo concert series Chamber Music Concerts with Taku Sugimoto and Masahiko Okura. Taku Sugimoto: Musical Composition Series 1. ( Kid Ailack Enterprise, , 2010.